Written by Tom O'Brien, has got 1 Comments. The following article contains 13 free and inexpensive ways for you to promote your website. 1. Viral Marketing is an approach that persuades people to pass along your message. Like a virus, the message then spreads to more and more people. The persuasion to pass along the message typically comes in the form of humor. If one person thinks the ad, email, video, etc. is funny and/or entertaining, they will pass it on to their friends. If you’re creative, give this a try. 2. Creating a blog, or web log, is becoming more and more popular. A blog will allow you to create a running commentary focused on your products or services. Interested parties will have access to this running log information. WordPress and Blogger are two of the most popular blogging platforms, and both are free to use. 3. Joining an affiliate program will cost a bit of money but can make a huge impact if you’re selling merchandise. Interested parties join your program and sell your products. When they make a sale, you pay them a set commission. 4. What better way to grab people’s attention than to offer them something for free. Using free giveaways like sample products or offering a free consultation is a great way to grab people’s attention and to garner more interest in your products or services. 5. Posting articles focused on your products or services is a great way to promote your business. People are constantly surfing the internet for the latest tips, tricks, and advice… just like you. Adding links in your articles that refer readers to your website is a necessity to increase traffic. 6. Target your audience. Join forums and other online groups that are within the scope of your business, products, or services. Be sure to supply these forums or groups with a steady stream of applicable information. Constant, focused information is a great way to catch a prospective customer’s attention. 7. Make prospective clients feel wanted and special. When your marketing does draw prospects to your site, you want to close the deal. Make someone browsing your website feel good about themselves, and try to relay how much better they’ll feel when they buy what you’re selling. 8. Purchase business cards and company stationary. Use these two for any and all correspondence. Whether it is something personal or related to your website, the more hands you can put your stationary and/or business cards into, the more likely you are to increase site traffic and sales. 9. Sponsoring events is a great way to get your company name in the public eye. Depending on the type of event, sponsorship packages will vary in price. Make sure to select events that are likely to draw your customer demographic and give you the most exposure for your buck. 10. Focus on your uniqueness. While promoting your website, you need to focus on the things that set you apart from your competition. My online business, OBrienMaDe, is an online social marketing company. Our homepage clearly tells prospective clients what sets us apart from the myriad of other marketing companies on the internet. Check it out for yourself- http://www.obrienmade.com. 11. Use e-mail and snail mail campaigns. Obviously, we don’t want to spam prospects or bombard them with junk mail, but you do want to use a calculated mail campaign. Almost everyone has a large database or personal e-mails. Start by advertising to your friends and family; you never know what might come of it. Also, mail out ads to your demographic… and be sure to use company stationary. 12. This one is a no-brainer, but just in case here you go… create a webpage. Having an online presence is very vital. If you’re an online business you have a website, if you’re a brick and mortar establishment you may not have a site. At the very least, create a single web page highlighting your offerings. There are many free web hosting providers you can use. Just search “Free Web Hosting”. 13. Google AdWords offer pay-per-click (PPC) advertising for businesses. 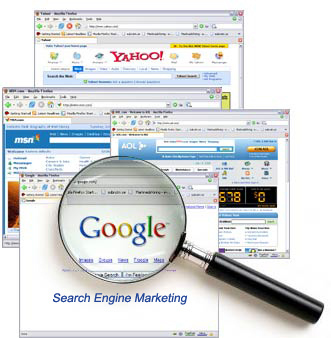 Your ad will appear in the Google search engine. When someone clicks on the ad and is directed to your website you pay an amount of money pre-determined by you. You can establish a budget that is not to be exceeded. Once your PPC reaches your monetary limit, the ad will no longer be visible to web surfers. If you would like help establishing and running a social media marketing campaign, or creating a website, please feel free to visit http://www.obrienmade.com or email: <info[at]obrienmade.com>. Tom O'Brien is owner and operator of OBrienMaDe, an online business focused on helping small businesses increase online visibility and traffic. Image source: ©2007 by Danard Vincente/flickr (↑) - Some rights reserved. - CC-BY 2.0. Posted by Tom O'Brien in Advertising, Marketing, Web Site Development on Thursday, October 28, 2010 has got 1 Comments. What Should You Put In Your Newsletter? Written by Carlo Leon Guerrero, has got 1 Comments. Despite all of the new ways to promote yourself and your products on the internet, email marketing still remains an essential part of any online marketing campaign. A newsletter is a great way to promote yourself, and your products. Let’s take a look at what you should do with your newsletter to ensure that your subscribers will keep reading it. Your newsletter should be both entertaining and informative. Obviously, you’re going to want to send out sales information to your subscribers, but if that’s all you send out, your subscribers will stop reading your newsletter very quickly. It’s a good idea to send out entertaining and informative content in each email. If you find something interesting that’s related to your niche, pass it along to your subscribers. Entertaining videos, funny comics, and interesting news stories all make great content for your newsletter. Of course, send out some promotional information too, just make sure to add additional value for your subscribers with entertaining and informative content. If you want your subscribers to keep reading your newsletter, you have to keep it clear and concise. Don’t make your readers sift through a wall of text to find the interesting, or useful information in each email. The harder they have to work at finding the useful information in your email, the less likely they will be to read the next email you send out. Stick to short paragraphs and bulleted lists. Be sure that your content is clear, and easy to read, and your subscribers will be more likely to keep reading your newsletter. If you’re sending out a strictly promotional email, be sure to include all of the necessary information for your readers. If you’re telling them about a sale, make sure you mention any exceptions tot he sale in the email. Use bulleted lists to give your readers all of the details about your sale. The easier your sales copy is to follow the more likely your readers will be to absorb, and react to it. Email marketing can be tough, but if you keep these tips in mind, you’ll have a successful newsletter. Did you know that 95% of home based businesses fail because of lack of personal coaching and not using the right internet marketing tools? Would you like to get personal support from people actually making a living online? Posted by Carlo Leon Guerrero in Email Marketing Tips, Marketing on Thursday, October 28, 2010 has got 1 Comments. Written by John W. Furst, has got 3 Comments. Update on Feb. 8, 2013: Deleted all entries with outdated tips or broken links. Update on April 12, 2015 We have discontinued this blog carnival. Welcome to the 27th edition of email marketing tips on October 27th, 2010. As in the previous edition of this blog carnival I have exclusively handpicked the entries. John’s comment: A case study and practical tips included. John’s comment: Reveals different patterns in social media and emails. That concludes this edition of email marketing tips. Past posts and future hosts can be found on my email marketing tips blog carnival home page. I have resumed the blog carnival in 2013. Now you can continue and read Edition #28 of my Email Marketing Tips. P.S. : If you like this edition, check out the previous email marketing tips - edition 26, too. Contact me to host an edition of this carnival on your Internet marketing related blog. Get your blog more exposure! It’s easier than you might think. Also submit your articles to this carnival. Thanks in advance for your contribution. Posted by John W. Furst in Blog Carnival, Email Marketing Tips, Marketing, Social Media on Wednesday, October 27, 2010 has got 3 Comments. Written by Robert Carleton, has got 1 Comments. 1. Keep it simple. If you were to meet with a prospect in person you would make sure that your pitch were straight to the point. When sending B2B emails you want to achieve the same no nonsense tone. Their time is valuable and you want to prove to them that you appreciate that fact by getting right down to business in your email, just as you would if you were talking to them in person. 2. Don't forget the "WIIFM" (what's in it for me) approach to your email messages. Make sure that you clearly articulate what advantages your company can provide to their company and why it just makes sense for them to do business with you. You have to structure your email message in such as way as to set yourself apart from the competition. 3. Don't be afraid to ask them for their business. If you don't have a clear call to action such as 'click here now', for example, they may not do anything. It's one of the most common mistakes marketers make, they don't ask the prospect to actually take action, they fail to ask for the sale. Don't make this mistake. 4. To optimize the effectiveness of your email campaign make sure you take the time to learn more about your prospects business and what you can do to help them. This information can prove extremely helpful when you are composing your email message. By being able to add specific points to your email that would only apply to their particular business you are letting them know that you've taken the time to learn about their company and their needs which will help you build trust with them. 5. Remember, this is a business that has their own marketing campaigns and they are familiar with all the tricks. Don't try too hard to 'sell' them. Keep your message short and on point and then follow up with a firm and clear call to action. 6. Track your results. You want to keep track of open rates as well as an increase in sales and/ or customers. It's important for you to know which campaigns work and which ones didn't. This information will allow you to tweak the ones that work and reuse them and start from scratch on some of the less effective campaigns. Email marketing can be a huge benefit to any business building strategy. Take the time to research your market before you implement your business to business email marketing plan. This added step will allow you to make more money and increase your customer base for a very small investment. Discover How To Create A Profitable Web Business -- Starting Today! No B.S. CLICK HERE. Posted by Robert Carleton in Business Strategy, Email Marketing Tips, Marketing on Wednesday, October 27, 2010 has got 1 Comments. Written by Linda M. Villanueva, has got 1 Comments. Email newsletter service is one of the most popular internet marketing strategies and it includes publishing and distribution of email newsletter on a regular basis to promote a specific service or product. Email newsletters are actually emails including graphics, links and content. Normally an e- newsletter is expected to be informative and beneficial for the user or client. However, it should also have a marketing purpose. In this way they prove to be strong and effective marketing tools. There are many factors that need to be considered before using a newsletter as an advertising tool. The most important factor that needs to be considered is the distribution list. It is very important that you send them to the prospective customers who will be interested in the products or services. It is very important that the client reads your newsletter rather than just deleting it. E-mail marketing does not mean sending the mails to a large number of people. This is not considered as a good marketing strategy. It is necessary that you reach your target audience rather than just blindly sending the mail to any email address. This is definitely not considered as a good marketing strategy. You need to reach the right kind of people to increase your sales to the highest level. For this you definitely need to use some of the marketing tactics and techniques. Another disadvantage if you send your newsletter to any random e-mail addresses is that your newsletter will be viewed as scam. This can cause various other problems and also result in wastage of time. Sometimes the recipients block the spam mails or even contact the internet service provider about the spam mails. This can lead to serious problems like penalties and business loss. Hence, one needs to be very careful before sending the e-mail newsletters. A good way to create a distribution list is with the help of forum. In this way the interested customers can register themselves in order to get additional information. This means that the customers will register themselves on your website and send a request to be added in the email distribution list. Sending emails to these customers will be beneficial as they are already interested in the particular service or product and have asked for additional information. In this way your email will not be viewed as a spam and you will be able to build a hassle free marketing strategy. The next important factor that needs to be considered is the content of the newsletter. You can include things like graphics and links in your newsletter to make it more attractive. You can use the method of soft advertising to promote your goods and services. Your email should contain useful information that will be beneficial for the clients. You can also include product reviews and short articles in it. You can create links to your own website which is a form of direct advertisement. Thus, this was some essential information about email newsletter service. Email Newsletter Service - Download Email Templates instantly, choose from hundreds of eye-catching designs get your email Newsletter Templates and email marketing templates here. Image source: ©2010 by bigyahu/flickr (↑) - Some rights reserved. - CC-BY 2.0. Posted by Linda M. Villanueva in Email Marketing Tips, Marketing on Wednesday, October 27, 2010 has got 1 Comments. Update on April 12, 2015: We have discontinued this blog carnival. Update on January 22, 2018: Deleted Mark Brownlow's closed site. Welcome to the 26th edition of email marketing tips on October 14th, 2010. In this edition I present hand picked articles about email marketing. Enjoy. Update January 2018: Mark has taken down this site in the summer of 2016. Thanks to the folks at Email is Not Dead (↑) for letting me know. They have put together a site with lots of email marketing related content. John’s comment: Interesting analogy to SEO. Using the wrong words can get your campaign in trouble, especially with spam filters. John’s comment: A primer for small business owners to get started easily. John’s comment: Interesting. Explains a lot of technical details and teaches what is involved with sending emails in huge quantities. John’s comment: Some good books on email marketing. Continue reading the next issue: Email Marketing Tips - Edition 27. P.S. : If you like this edition, check out the previous email marketing tips - edition 25, too. Written by John W. Furst, has got 1 Comments. John Furst in Vienna, Austria. I have my most important data with me all the time. Thanks to the cloud. Did you ever travel to a meeting with a prospective client and discover that you forgot to copy the file with your presentation to your notebook or to pack the CD or DVD? Chances are good that you just answered that question with “yes”. Nowadays it is rather simple to prevent something like that from happening. Just make sure your information is accessible in the cloud. A service which I started using recently is FilesAnywhere. FilesAnywhere makes traveling with your ‘data’ much easier. Currently they offer a free plan which gives you 1GB of storage. Posted by John W. Furst in Business Strategy, Miscellaneous on Sunday, October 3, 2010 has got 1 Comments.